Did I mention *drool* ? I'm sure I'll regret making this public but I have a mad crush on Horacio Crane (David Caruso) on CSI Miami. He's like William Shatner of the 2000's and a total dweeb, but for some reason he hit's my "hot button". 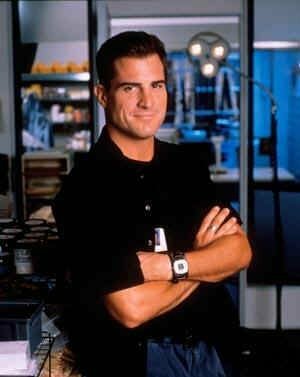 Oh, yeah, he's definitely why I watch CSI. LOL! Totally, RSM. ..probably because he makes me laugh - not intentionally.